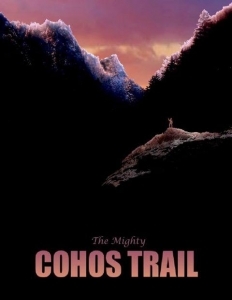 The Cohos Trail guidebook, self-published by the Cohos Trail Association, is the only comprehensive guide in existence featuring the 170-mile Cohos Trail. It is available in both digital and paperback format. Because it is up-linked to a digital on-demand publishing company, we can easily make changes to the guidebook every year, and even more than that if circumstances change suddenly. 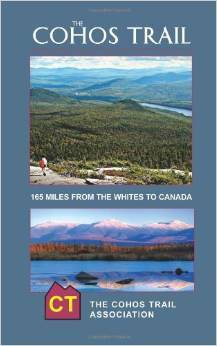 The guidebook is written as if a trekker is walking northbound from southern Crawford Notch in Harts Location, NH, all the way to the Canadian border. Southbounders can utilize the guidebook if one remembers that all turns are reversed or opposite of what is published and sections must, of course, be read north to south or back to front. The guidebook does provide descriptions of copious features along the way, making it easier to understand the lay of the land and providing a historical perspective of the region, the geological makeup of the terrain, and so on. For updates since the latest guidebook, please see our Trail Updates and Changes page, as well as our Trouble Spots page.